The Biggest Loser is back tonight with its 6th episode of the 13th season and we will be covering the show LIVE with all the details of the challenges, drama and elimination. I am crossing my fingers that Conda goes home this week – do you dislike her as much as I do? She is really irritating…. On last week’s episode Nancy was sent home and if you missed the episode you can read our official synopsis here! On this week’s episode 6 – Where drama goes, Conda follows! This week there is a wild dunk tank challenge which leaves one team without a trainer for an entire week. In this season of “no excuses,” this week’s challenge addresses the excuse “I can’t lose weight on my own.” Trainers Bob and Dolvett are suspended over water in a wild dunk tank-like challenge in which the red and black teams have to use their strength to keep a weight from landing their trainer in the pool. The losing team has to do without their trainer all week until the last chance workout. Once the losing team is determined, one contestant admirably steps up to lead their group while their trainer is away, with none of them aware that he is secretly watching how they do in his absence. Later, a very heated elimination sends another player home after a tense weigh-in. The Biggest Loser airs at 8PM and we will be live blogging it with all the up-to-the-minute details, weigh-ins and elimination. So make sure to come back to this spot and spend the evening with us! While you wait for the recap check out the sneak peek preview video of tonight’s show here – there is a lot of Conda drama! TONIGHT’S SHOW: Cassandra is upset because her Grandmother Nancy was eliminated last show. She tells the other contestants she is not mad at anyone. Adrian tells Cassandra he did not vote her grandmother off and warns her to be careful. The other red team contestants are not happy with Adrian and his comments. Mark tries to get Adrian to talk but Adrian tells Mark he will not talk to just him he wants to talk to everyone. The members of the red team start bickering. Adrian wants to deal with Mark saying that Daphne and he threw the weigh-in. Adrian is furious with Mark. Mark would have preferred to handle the situation in private and not involve the rest of the red team. Daphne is worried the drama with the red team is distracting her brother Adrian. Adrian tells Daphne he has nothing to prove to these people. He is here to win. The black team and the red team meet at the pool it is challenge time. Alison tells the teams this week’s excuse is “I can’t lose weight on my own.’ This week the team that loses the challenge loses their trainer for the week. The challenge tonight is a good old fashion dunk tank. The trainers will be suspended over the pool and the red and black teams have to use their strength to keep a weight from landing their trainer in the pool. Once a team member lets go they are out of the competition. It looks like Mark on the red team is going to be the first to drop his rope. Nope, he managed to keep it going, Kimmie is the first to drop her rope, Mark is next. The whole black team is still holding on. Kim, Conda and Buddy drop. Adrian and Roy are the last to drop. Dolvett is in the water and he tells the team he is going to kill someone. The black team wins the challenge. Dolvett gives the team tips when he gets out of the water. The red team has to say goodbye to Dolvett. Bob takes Megan aside because he found her really competitive in the challenge. He wants to find out how she could have let herself put on so much weight. Megan tells Bob she loves her life but she hates herself – she sees an ugly women when she looks into the mirror. Bob believes the disdain she feels for herself is the root of her problem. Kim thinks that since she is a former athlete she can help the team since they have no trainer this week. The red team gets into the gym and gives the team their instructions. The red team is pushing without Dolvett. Although Dolvett is not with them he is watching them on video and he is impressed with how Kim is stepping up and how hard the team is working. Kim watches Roy and she thinks he is fizzling out. Conda is complaining non stop and Dolvett notices it. She is complaining about how Adrian is working out – not sure why it is her business. She really needs to worry about herself and not Adrian. Bob is taking the black team on a hike. Bob tells the black team he is going to beat the ‘I can’t’ out of them. Daphne is having a problem with the hike she is behind the other members of the black team and she tells Bob she is struggling. He reminds her she is only in the 2nd week while the other black team members are in the 6th week. He gets the team together and reminds them they should be helping Daphne. The black team is told they will have a surprise lunch and they show up and Rachel is there. This is the first time they are off the ranch and eating at a restaurant. Rachel is going to teach them on what is the best thing to order. Last Chance Workout – Dolvett is back and the red team is happy and Kim is thrilled he is back. Dolvett tells the team he has been watching the team the entire time. He tells Kim he appreciated that she took the leadership role. Dolvett tells Condra she spent so much time complaining – he made a Conda complain and there are 13 complaints. Dolvett tells Conda complained too much about Adrian. Everyone is in the gym for the last workout and both trainers are pushing the teams. The black team wins the weigh-in. Someone on the red team is going home tonight. Conda is the person with the highest weight loss so she is immune from elimination tonight. 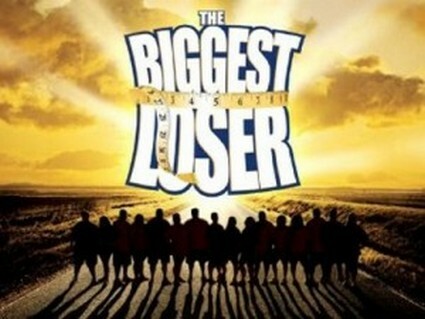 Adrian is not the biggest loser and he was sent home. Adrian says he is not surprised – he tells Alison that no one embraced him and no one helped him except Roy. Adrian says it is simple no one made him part of the team. Adrian gets up and walks out and Mark follows and Adrian tells him he has nothing to say to him. Adrian comes back and tells the red team not to come near his sister and make it seem like all is okay.